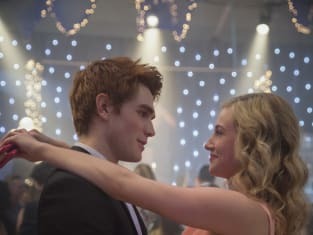 Archie and Betty enjoy a high school dance on the premiere of Riverdale. "Chapter One: The River's Edge" is the first episode of the show's first season. Riverdale Season 1 Episode 1: "Chapter One: The River's Edge"